"Today's indictment should send a clear message," said Attorney General Jeff Sessions, "that we aggressively prosecute violent crimes of hate." The Department of Justice announced that an indictment returned Wednesday charges James Alex Fields Jr., 21, of Maumee, Ohio, with 30 crimes, including one count of a hate crime resulting in the death of Heather Heyer, and 28 other hate crimes involving an attempt to kill other people who were injured. Marcus Martin, who was hit by Fields' car while pushing his wife out of the way and is a friend of Heyer, told NBC News that Fields deserves the charges. “He has to deal with the life consequences and everything he did behind what he did," Martin said. 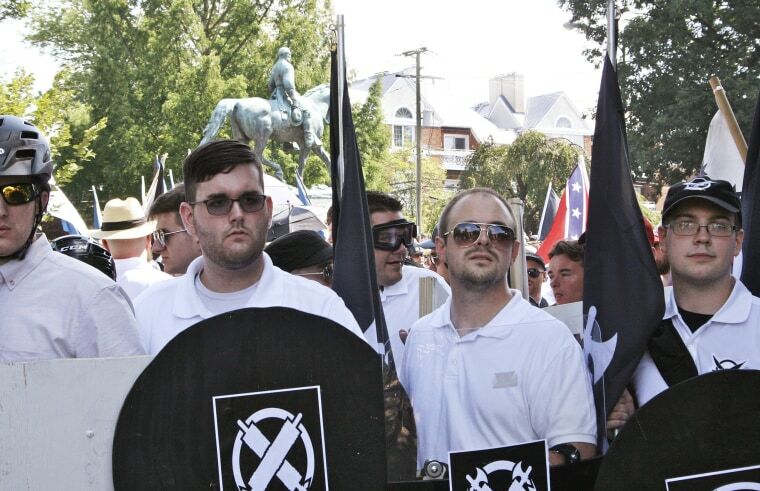 Authorities have said that Fields, described by a former teacher as having a keen interest in Nazi Germany and Adolf Hitler, drove his speeding car into a group of people demonstrating against the Unite the Right rally, which drew hundreds of white nationalists to the college town, which had planned to remove a Confederate monument. Fields already faces state charges, including first-degree murder. He has been in custody since the rally.